The Spring Air Mattress Company is a leading name in the industry. They have a long standing reputation for coming up with innovative new ideas. These ideas have led to some of the most well known lines of mattresses being sold on the market today. The Spring Air Mattress Company was founded in 1926 by Francis Karr. He invented a mattress with free-end coils which adjusted to each person's weight individually. This was the start of several inventions to come from Karr and the company. Soon they were producing many variations of supportive mattresses designed to help people sleep better. Spring Air is based in Elk Grove Village, Illinois. In 2006 they were the fourth largest manufacturer of mattresses in the United States behind the big three - Simmons, Serta, and Sealy. They distribute mattresses throughout the United States, Canada, Mexico, Ireland, Australia, the Middle East and Argentina. The company is actually a licensing organization, with locally based licensees manufacturing the mattresses under one name for marketing purposes. So there isn't really one central Spring Air Mattress Company that oversees the manufacture of their products, but instead many smaller franchises located around the country. Similar to a cooperative, the licensees own the Spring Air brand name. The thing that sets this company apart is a commitment to Karr's original focus of creating better mattresses. The company is always introducing something new to help people get a better night's sleep. For instance, in the 1940s the company introduced button free surfaces and quilting with extra support. In the 1950s, Spring Air introduced their Health Center mattress that was designed to be more supportive by using different zones across the surface. Their most well known mattress, the Spring Air Back Supporter, appeared in the 60s and is still in production today. They added pillow top mattresses in the 70s and began using natural fiber bedding materials such as silk and wool in their Four Seasons mattresses in 1988. In the 90s they introduced a foam which conformed to the back, shoulders and neck, which they called Conforma. They also started combining latex and innersprings to provide more comfort and support. It seems every decade Spring Air is introducing new ideas that are changing the mattress market. Unfortunately the company has been somewhat troubled lately. They've gone bankrupt twice in the last ten years, once in 2004 and again just recently in 2009. In 2004 they were acquired by Consolidated Bedding Inc which also owned Nature's Rest and Chattam and Wells at the time. They were planning on opening their largest manufacturing facility in Durant, OK in the summer of 2009, but it looks like that may have fallen through when Consolidated Bedding went under in May. At that time all 9 Spring Air mattress factories in the United States were shut down. They were then bought by a newly formed company called Spring Air International which is located in Boston. A businessman named Ed Bates purchased the global rights to all of the Spring Air trademarks and proceeded to reopen the factories just six weeks after they closed. Luckily this put a lot of people back to work and it looks like the company is even trying to help out people with warranty claims on products made by the previous company even though they're not obligated to do so. For a revealing look at what consumers are saying check out our article on Spring Air Reviews. Spring Air Mattress Company has a few different collections that each feature specific benefits. Within each collection are several mattresses that allow you to find the perfect design to suit your needs and address whatever problems you may have with your current mattress. The Back Supporter collection features mattresses designed to give you the ultimate in spinal support. They are multi-zoned and have tempered coils for better durability. The layers of comfortable foams used in this collection are perfect for those seek help with back pain. The Four Seasons collection features a unique one sided coil design. The mattresses in this line are made for a more luxurious feel than some of their other products. 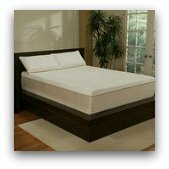 The Natures Rest collection is an environmentally friendly latex mattress line. They're made to give you better pressure relief for a perfect night's sleep without aches and pains. The mattresses feature special latex cell designs to give a cool and comfortable feel to the mattress while also providing great support. For a more detailed look at the company's product line check out our section on Spring Air Beds. Spring Air Mattress Company is a leader in the industry. 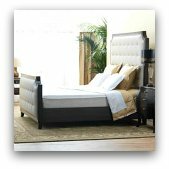 They're focused on providing products in a range of styles so you can find the perfect mattress for your needs. The company is backed by years of experience and provides new ideas to solve common problems that people have with mattress designs. As they attempt to recover from bankruptcy in these tough economic times they hope to keep providing new and better ideas so that people can sleep soundly.